are well known in the Bay Area for their ability to perfect the fit of your boots. “Big Box” retail stores are notorious for selling boots that are sized too big. This is much easier than helping a customer eliminate hot spots in a boot that is appropriately fit. A boot that is not fit properly can not only be painful, but can lead to serious injury. 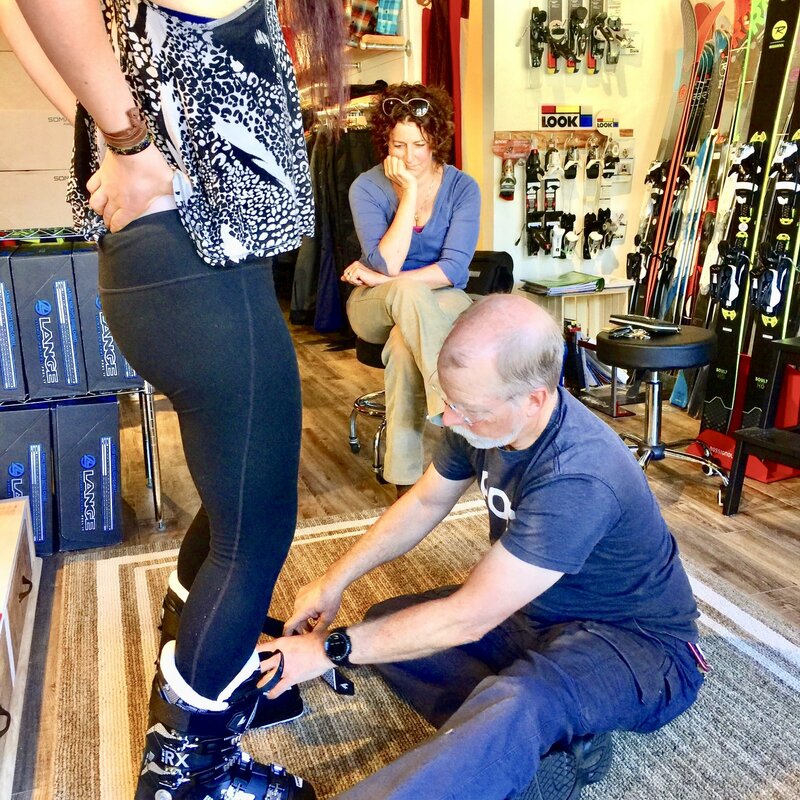 Our boot fitters are trained in the anatomy and biomechanics of the foot in order to evaluate your foot type and recommend the correct boot last and shape. 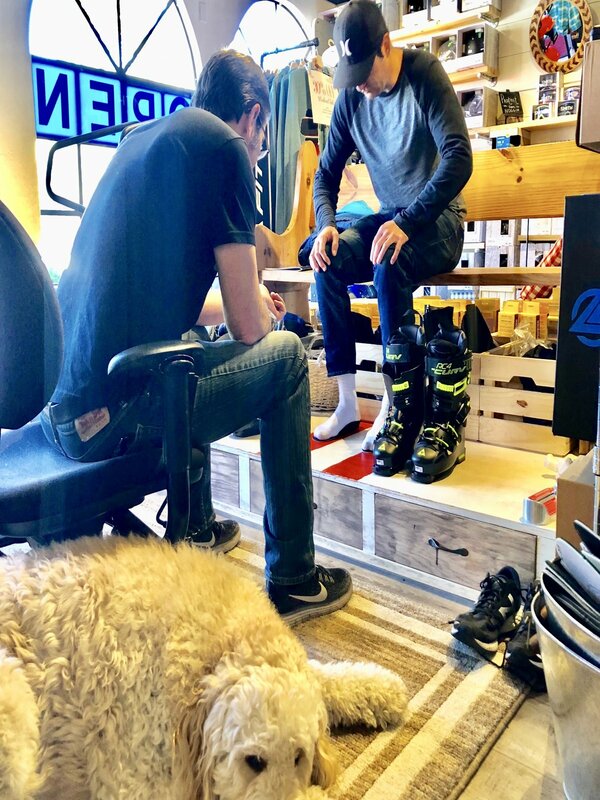 Modifications to the liner and plastic shells of a boot are the basics of boot fitting at here at the shop. It is with these modifications that a skier of any level can maximize comfort and performance. We offer a full-service repair and tuning shop. Combining a state of the art tuning machine with tried and true hand finishing, our staff of repair technicians can get your equipment in tip top condition in no time. Stop by for an evaluation. Whether you just need a little wax or a race tune for the big day, we will have you back on the hill in no time. We take great pride in our high-end, hand tuning process. an iron and high quality hydrocarbon wax. Stone grind, p-tex where needed, edge sharpening, hand-finished edge bevel and iron-on high quality hydrocarbon hot wax. hand iron on wax based on current conditions. We offer current conditions hot wax. We test the binding for standard release tension settings that are within recommended limits, including calibrating the visual indicator settings (DIN) to correspond to the release and retention of the binding. Our Rush Services depends on Shop Tech availability and shop work. We offer professional, exceptional boot fitting services. We focus on shell and liner modifications, custom insoles, stance alignment and modifications, custom Fischer vacuum fit boots and Thermo Fit Liners. Boot punch, includes follow-up work on those particular punches.